Where Are You Flying in Greece? For those looking online for airfares to Greece, knowing these International Air Transport Association (IATA) airport codes—those three-letter city abbreviations you see on luggage tags—for Greece will prevent you from booking a flight to Athens, Ga., rather than Athens, Greece, for example. IATA airport codes are used to designate and differentiate airports worldwide. Airports in Greece usually have at least two "official" names. The first, and most commonly used is usually the place-name with "Airport" or "International Airport" added. The second gets a little trickier. This name usually honors a famed local historical or mythological figure. This means that in a few cases, different airports may have similar names. 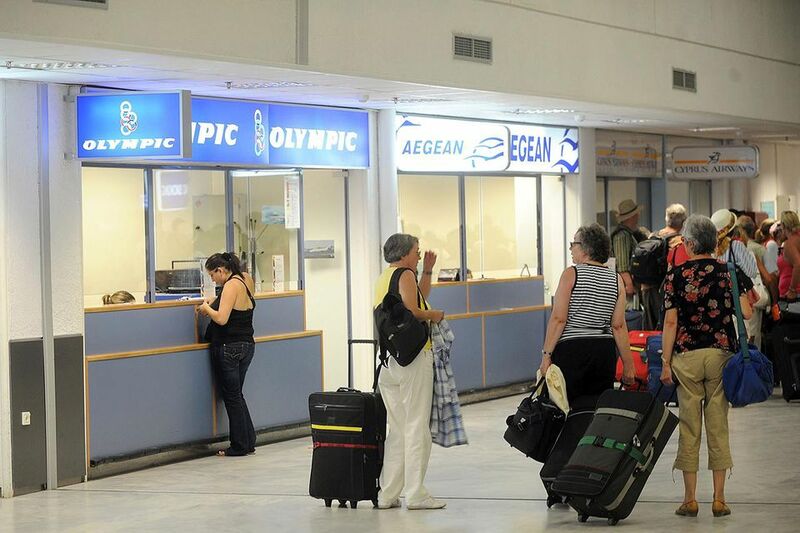 There are two Odysseas Airports, two that begin with "Ioannis," and so on. Sometimes, these secondary names occur in two forms—the Greek form and the English translation. Before clicking "book it," double-check that you're choosing the correct airport for your destination. Also, many codes used for smaller airports are similar and may not have an obvious connection with the name of the town or Greek island. Using JSI rather than JSY, or vice versa, will get you on the wrong island entirely. Checking these codes will get you on your way to the right place for your trip in Greece. Athens International Airport is also called Eleftherios Venizelos or Spata, Spada. Athens is also spelled Athina. Also spelled Hania, Xania, or Khania. Also called Ioannis Daskalogiannis. Do not confuse with Ioannis Kapodistrias at Corfu. Heraklion Airport is also called Nikos Kazantzakis. Heraklion is also spelled Iraklion or Iraklio. Also called Captain Vassilis Constantakopoulos. Also called Mega Alexandros or Alexander the Great. Also called Odysseus, Ulysses, or Anna Pollatou. Also called Ippokratis or Hippocrates. Also called Hephaestus or Ifestos. Also called Afrodite or Aphrodite. Also called Delos or Dilos. Also called Artemis or Panteleou Paros Airport. Also called Aktion and Lefkada. More on Rhodes Airport is also called Diagoras. Also called Aristarchus of Samos.